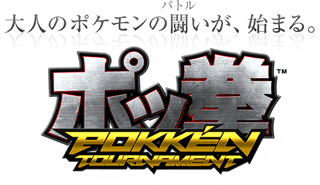 Pokken Tournament! From Nintendo x Bandai Namco - First Footage! What do you guys think? Of the game concept, moves, graphics? Team Ninja, Tecmo Koei, and Bandai Namco...These are a few of the outside devs that Nintendo is using the power of friendship and love and magic to create new content with outside of their comfort zones it seems. It could be they need the manpower to help push out more titles for the Wii U, as well as the fact that they've admitted the jump to HD has been a rough one and perhaps these other devs know the trail better. The game will hit Japanese arcades in 2015. Visit the official Japanese site here.